The vote for the cover athlete of the next Madden football title has stumbled, rumbled, and fumbled into the third selection round. NY favorite Victor Cruz? Yeah, he's still salsa dancing his way through the rankings. 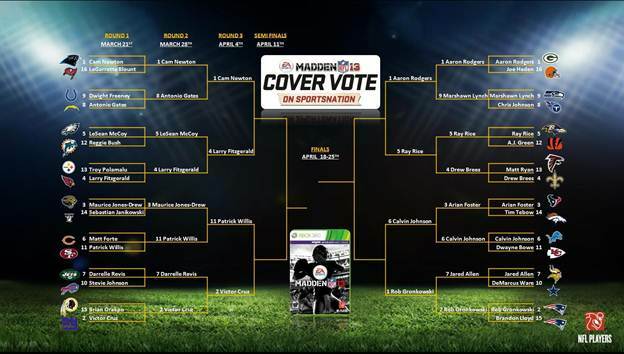 After a staggering 16 million plus votes, the 2013 edition of the Madden vote already has blown last year's version away. Here's how thing's are shaping up.